Number of Rows: 3,4,5,6 Rows. 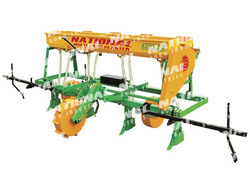 3 Rows Animal Drawn Multicrop Planter for sowing different crops like Maize, Peas, Grams, Peanuts, Soyabean etc. It maintains plant to plant spacing in a row.